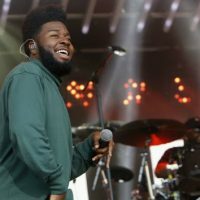 Khalid‘s sophomore album, Free Spirit, has soared to the top of the Billboard 200 chart. The 17-track effort debuted in the number-one slot with 202,000 equivalent album units, 85,00 of which accounted for traditional album sales, according to Billboard. That’s the fourth-biggest opening week for an album in 2019, and the biggest for an effort released by a male solo artist. Free Spirit is also the first R&B album to debut in the number-one spot in nearly a year. Previously, The Weeknd‘s My Dear Melancholy EP topped the chart last April 14. Prior to that Bryson Tiller’s True to Self debuted in first place in June 2017. Khalid’s debut album, American Teen and last year’s Suncity EP peaked on the Billboard 200 chart at number four and eight, respectively.